My first Australian summer in four year has been absolute torture and it has been a long time since I’ve done any knitting. The weather has improved a little over the last week and my long-lost mojo has returned with a vengeance! Now I have a severe case of project-startitis. I now have three pairs of socks on the go, one lace shawl and a vest. 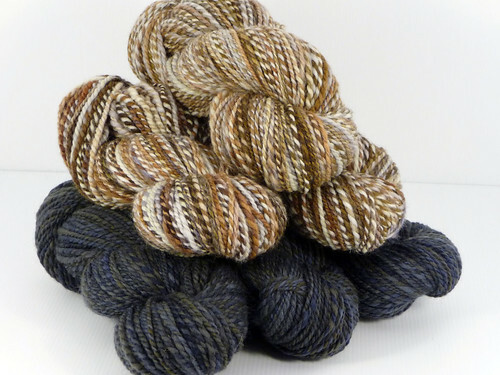 Last July, I ordered some custom fibre from Hello Yarn to complement some of Adrian’s gorgeous handpainted Shetland. 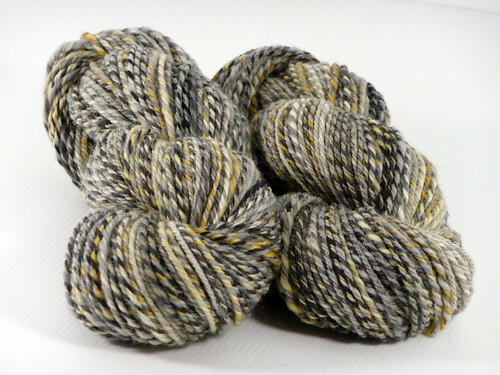 This was purchased with a view to making a brooklyntweed-style Striped Vest. It sat in my stash until December - a week and a half at home with my parents gave me ample opportunity to get it all done. 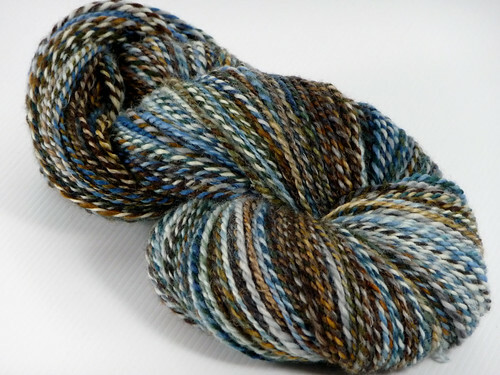 Finally, I have a swatch, a gauge, Priscilla Gibson-Roberts’ Knitting in the Old Way and I’m all set to go! 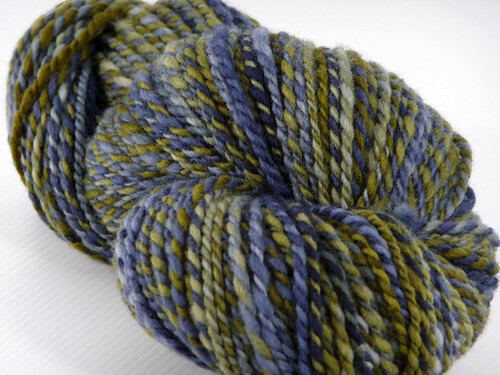 I’ve been busy spinning. Spinning, spinning and more spinning. What else is there to do when it is 40°C (104°F) out but stay inside and close to the air conditioner? 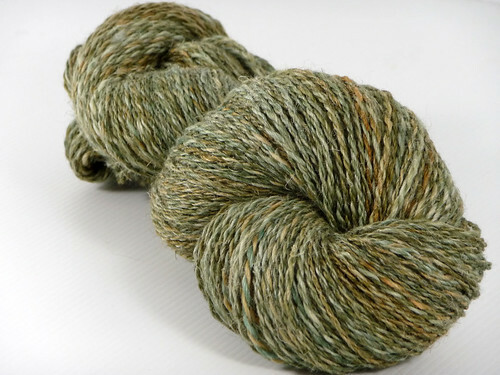 First up, a new-to-me blend from Spunky Eclectic - 60% Wool/40% Linen with a drape to die for. Custom dyed by Boogie. Next… some of my Polwarth from Southern Cross Fibre in "Vigilance"
You are currently browsing the Southern Cross Fibre blog archives for February, 2009.